The Independent Qualification Commission (IQC) dismissed from office Artur Selmanin - prosecutor at General Prosecuto. Selmani is one of the former candidates who ran last year for the position of the Provisional General Prosecutor. After the vetting verification the prosecutor entered in trouble because of the discovery that in 10 years has won only $ 10,000 in sports lotteries. A story that the prosecutor sees as part of the past, but that, according to the commissioners, his integrity may be compromised. 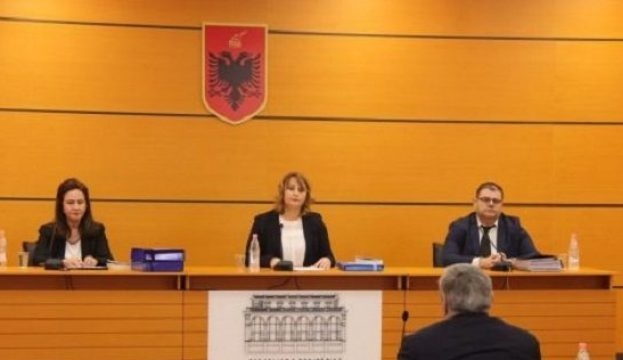 But prosecutor Selmanaj apologized relating to an issue that, according to him, could not be prohibited by law, and yet he had no reason to place it in the danger zone, because, according to him, he was given to justice during 30 years in office. He recalled strong files investigated by him in various years since 1997 to the passport scandal or the investigation of Lulzim Basha. The other dismissal from duty is Luan Dervishi, a candidate for the High Judicial Council. Luan Dervishi, a candidate for the High Judicial Council. He has problems with assets. According to the CCK, he lives in his mother-in-law's home, which has bought a house of 30,000 euros, but does not have enough income for this property. Problematic is also of how a land was purchased in Tirana, which he reports in a statement as donated and the other as purchased with savings from selling a house in Librazhd. While the findings discovered that Luan Dervishi has connections with a person of the world of crime.